Meet Messi - Ultimate Football Hero. 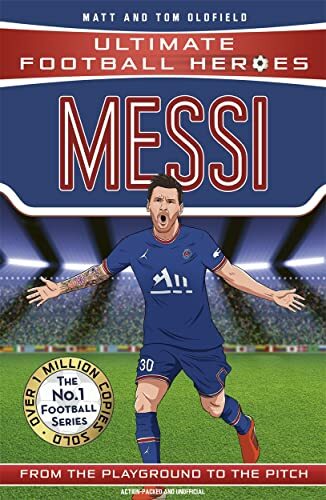 . . 'The Barcelona fans were already standing - they had seen the things that Lionel could do with the ball at his feet.' Lionel Messi is a legend - Barcelona's star player and the world's best footballer. But when was young, he was so small that his friends called him 'Little Leo' and coaches worried he wasn't big enough. Yet through bravery, talent and hard work, he proved them wrong. Messi tells the magical story of how the tiniest boy in South America grew up to become the greatest player on earth. Have you read them all?